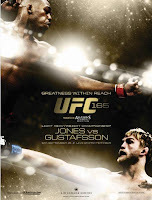 UFC 165: Jones vs. Gustafsson Fight Preview and Pick | MMA Fighting Events Videos Techniques UFC Fight Picks and News. Alexander Gustafsson comes into this UFC title challenge with an overall MMA record of 15-1, and 7-1 in the UFC. Gustafsson has finished 12 of his 15 wins (9 via KO/TKO and 3 via submission). As the competition has gotten tougher though, he's had a tough time finishing fights. His last two wins have come via decision. Gustafsson has well rounded MMA skills with stand up being his best weapon. His length has given fighters problems and he uses it well to set up attacks. 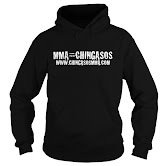 His ground game isn't far behind as his heel hook defense and his other ground work showed in his most recent win where he fought MMA legend Mauricio "Shogun" Rua. Jon "Bones" Jones comes into this title defense with an overall MMA record of 18-1 (his only loss was on a DQ where he was well on his way to winning). Jones is a finishing machine! He's finished 15 of his 18 wins (9 KO/TKO and 6 submissions). What's even more impressive is that he's not just finishing off the run of the mill MMA fighter, he's finishing off the best of the best in the division. Jon Jones victims include, Ryan Bader, Muaricio "Shogun" Rua, Lyoto Machida, Quinton "Rampage" Jackson, Vitor Belfort and Chael Sonnen. The only fighter to escape his frenzy of destruction that began at UFC 100 back in July of 2009 has been Rashad Evans. And while Evans survived, he was soundly beaten in a unanimous decision where he was rarely if even a threat. Gustafsson has all the tools necessary to be a great fighter, unfortunately for him, he's going up against the best fighter, not only in the UFC's light heavyweight division, but in all of MMA! Jon Jones is better that Gustafsson in every aspect of MMA. Jones also has more fight experience, and, that experience also happens to be agains better competition. Does Gustafsson have a chance at winning? Of course he does! It's a fight and anything can happen, but that chance is slim to none! Look for Jon Jones to dictate the fight. Jones will find holes and then pounce on finishing opportunities. I don't see this fight going passed the third round. Look for another Jon Jones finish via KO/TKO. What are you thoughts on the main event at UFC 165? Feel free to comment.